The Dominion SX II is Raritan's next-generation serial console server / terminal server. 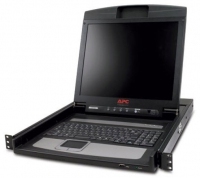 It provides serial-over-IP access and control of serial devices — anytime, anywhere. It's the most powerful, secure, reliable, easy-to-use console server on the market. Enjoy unrivaled control over servers, networking devices, security appliances, rack PDUs, virtual hosts, and wireless / telecom equipment! 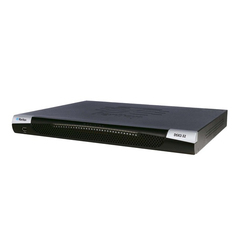 The SX II supports the widest variety of serial-over-IP connections via SSH/Telnet Client, Java-free web-browser, CommandCenter, telephony modem, cellular modem, and at-the-rack access. Raritan offers thirteen different 1U appliances to connect to 4, 8, 16, 32 or 48 serial devices. 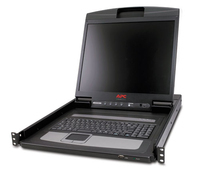 All models have dual power supplies (AC or DC) and dual Gigabit Ethernet LAN ports. The SX II builds on over ten years and 500 million hours of operation of the original SX. Besides the high performance serial processing from a more powerful hardware platform, the SX II includes the exciting new features described below.